You may have noticed that last week the world’s largest Consumer Electronics Show was in full swing in Vegas and whilst most mainstream technologies were announced, in and around these announcements were many new wearable tech ideas flirted by many brands that will undoubtedly come to market within the decade and change the way we view our coveted fashion brands as wearable technology. The advancement of wearables at CES 2015 as a fashion statement is potentially huge, not to be ignored and begins the brand debate. At this year’s CES we began to see the second generation of many wearable devices, including updated reveals from traditional tech brands: Epson, Sony, LG, Garmin and Fitbit to name a few. With the looming release of the unmistakably fashionable Apple Watch, many wearable makers are following suit by consciously developing fashion that conceals our technology as clothing, watches and jewellery. For example, take a look at the Tory Burch range for Fitbit which turns your wearable fitness technology into high-end fashion jewellery. None of your friends or colleagues would know you’re counting calories or you’re on a detox. It would appear that fashion brands have realised a new category of consumers. If you like high-end watches, then why would you swap your favourite brand(s) for a rubber smart device that looks, in some instances, ugly and conspicuous. Wearable maker Misfit has teamed up with Swarovski to produce the “Shine,” a customisable series of fitness trackers disguised as jewellery. Hidden beneath Swarovski crystals, the Shine tracks activity such as steps, swimming strokes, and sleep via an accompanying app. It is also the first solar-charging wearable, reflecting sunlight through its crystals. The Martian developed “Guess Connect,” a Guess watch that looks like normal, but has the addition of small screen which displays caller ID and other alerts, Bluetooth connectivity, and can interact with Siri or Google Voice commands via an inbuilt microphone. Other offerings from watchmakers intending to join the wearable revolution are Tag Heuer and Mont Blanc. I suspect many more to follow once they’ve seen how it works for other luxury brands and how it fits within their own strategy, portfolio, and demographic. Rolex, Cartier, and Jaeger-LeCoultre may not be jumping on the bandwagon just yet and why should they if it doesn’t meet the brand’s ethos and heritage. Is there a need to adapt, dilute, or license the precious brand just to be in the wearable tech game? Is this another advancement the luxury watch makers & brands can’t ignore? As predicted, these innovations suggest just how wearables will begin to blend into existing fashion, becoming easily mistakable for a normal watch or piece of jewellery. These new wearables will suit any situation, not just the gym. Smart devices that are office-appropriate will increase the popularity of wearables for health, communication, and productivity use. 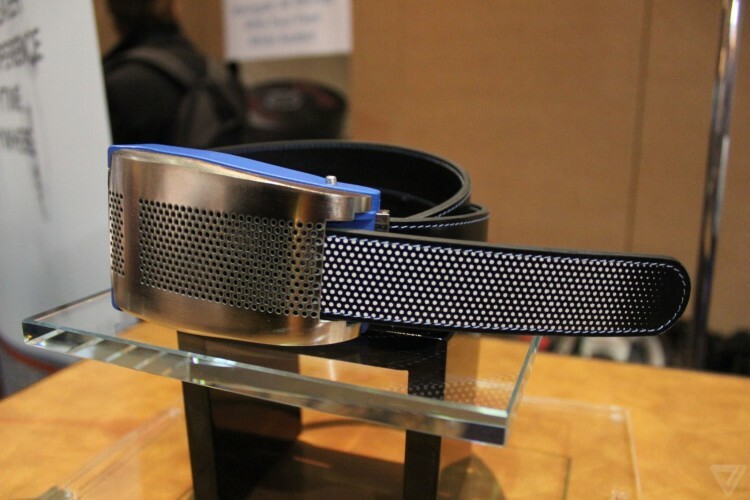 Interestingly, take a look at CES winner in the “Best Offbeat Product” category, a new brand called Belty. Like Nike with its power laces, Belty is a motorised belt buckle –yes you read that correctly. It slackens and tightens to make you more comfortable, for example if you’ve eaten too much. More seriously, it has the tracking capabilities to aid diet and body shape. CES believes it’s a fun, quirky, and potentially viral product. Consumers will ultimately decide the limits of wearable tech and for brands this is a risk. Do luxury heritage brands risk potential ridicule or failure for the sake of changing demographics and technology or do they focus on what they do best? There’s a consumer for every heritage brand and, with the exception of some gradual, natural, and subtle advancements in technology, we should keep brands focused on their authenticity.